Just some quick updates that may be useful to someone. I’ve finally got around to ordering most of the bits I need to finish off my homelab and to get all the kit neatly mounted. Unfortunately during my recent house move it appears my HP EO1013 KVM didn’t survive the move very well and my new and unused (but 10 year old) rackmount monitor/keyboard doesn’t actually fit in my 800mm deep rack. The HP EO1013 KVM simply stopped powering on. I removed the case to check out the PSU and discovered a DVE DSO-142L PSU. A quick google showed that this PSU is contained in both HP and Dell KVMs and this seems a fairly common problem. Since the KVM is still a great CAT5 KVM I didn’t fancy spending a couple of hundred pounds to replace it. 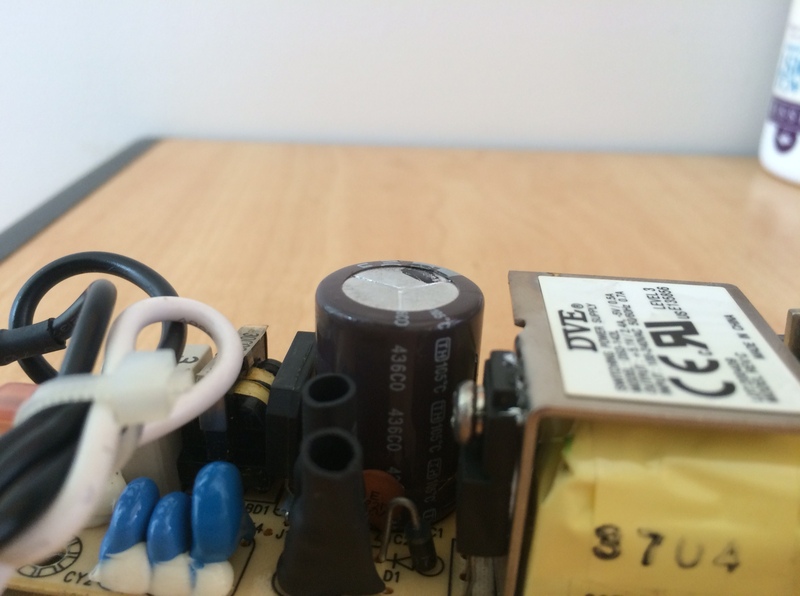 An inspection of the PSU revealed one of the capacitors had a raised top indicating it had gone bad (see pictures below). 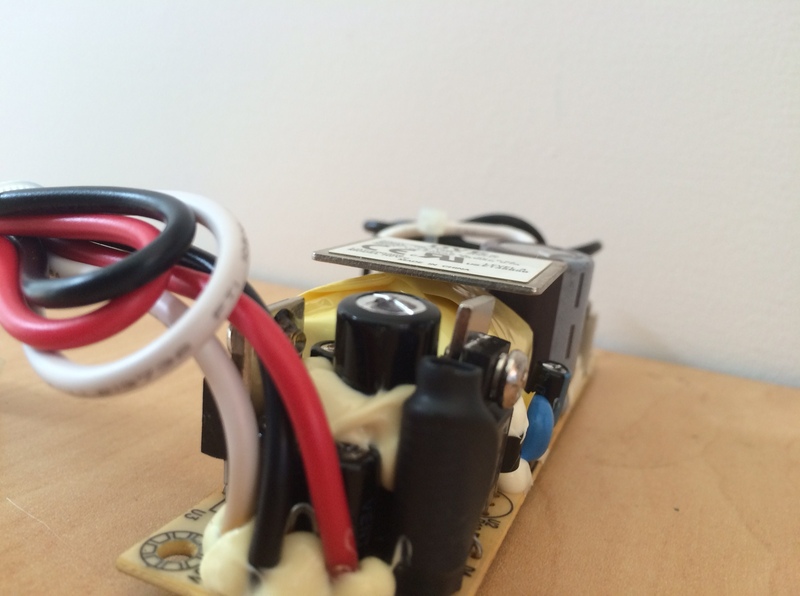 Bad capacitors can also result in a fully blown top or leaking around the bottom. Generally a quick smell will also let you know something isn’t right if you’ve ever had that lovely “exploded computer” smell in any of your projects. Rather than try and repair this myself (if you’re confident enough at soldering and don’t mind risking your board you’re only looking at a couple of pounds of components) I found a repair service through eBay that also provide a 1 year warranty – just search for DSO-142L. The price is £39.99 shipped back to you with a year warranty. Whilst this is a lot for a few capacitors being swapped it’s worth it to save me the time. Hopefully I should get my PSU back in the next few days and can repair the KVM. My existing HP rackmount monitor isn’t in great condition with the rails falling apart and no built in keyboard. The separate rackmount HP keyboard I have doesn’t even have any bearings left in its rails so I’ve been using a standalone keyboard recently in my rack. I decided whilst buying the rest of the parts I needed to replace these now rather defunct pieces of kit. I found a never-used Dell rackmount keyboard/trackball/monitor set (2U) on eBay for £99. It looks about 10 years old but other than a dirty box was brand new. The unfortunate problem is that the rails are clearly designed for only one size rack – being about 90cm deep and aren’t sufficiently adjustable for my 80cm deep rack. Slightly frustrating having waited to replace this all week. I wanted to get some simple “L” shaped brackets for each side since this dell unit has its own inner-rail system within the main case that the keyboard/monitor tray extends from. The factory rails are just full-length “L” brackets on each side of the case with a lug to fit into the back of the chasis for some extra stability. This proved surprisingly hard to find. There are plenty of sliding trays and shelves that take space up out there but I wanted simple and low profile and the ability to take the weight (this is a seriously heavy piece of kit). The only universal rail kits I could find that seemed suitable in the UK were either close to £100 or had a rear bracket. In my case I need the back to be open since this tray will extend out the back out of my rack. I eventually gave up in the UK and spread my search further afield and found plenty of what I wanted in the states. 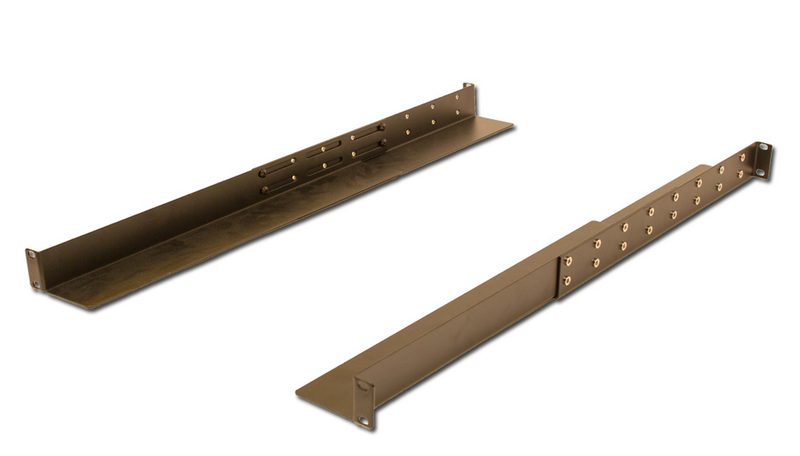 Gruber make a set of adjustable heavy-weight rails with a load rating of 200lb (45KG) and fully adjust from 20.25" to 33.25". An eBay listing had these for £35 shipped with import tax – it just means a two week wait for shipping. I’ll let you know how they go but a few reviews including this one from ServeTheHome.com convinced me to give them a try. If they work it’s a cheap solution to the problem. Thank for your nice comments about our Psu repair/refurbish service. We are very successful at refurbishing this DVE DSO-142L PSU. Turnaround is very fast (24H). For urgent requirement: Please ask for our Advance Replacement Service. We now offer a 2 years Warranty as standard.